Did you know that the Creative Fibre Festival will be held in Palmerston North over 25 – 28 April 2019? 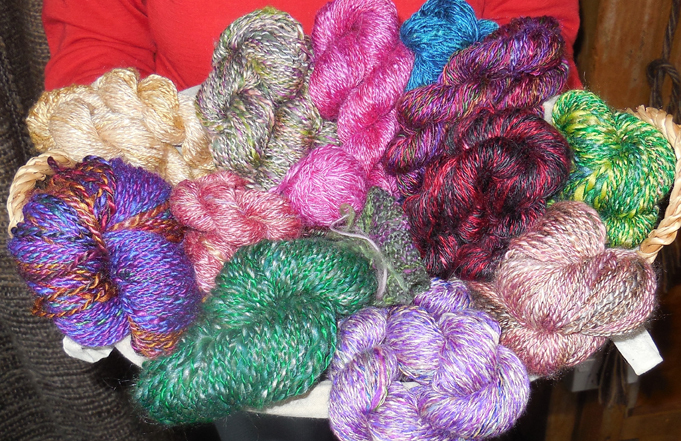 It’s Creative Fibre’s 50th Anniversary this year. There are always neat things to look at, lots of traders and the Fleece to Garment Action Competition is really exciting to watch. 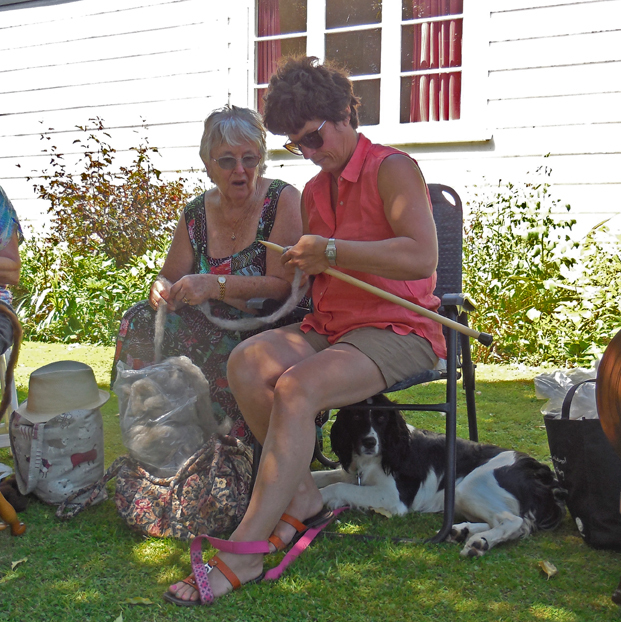 The Wairarapa Spinners and Weavers are entering a team. The following photos were taken at one of their practice days. Kay spins a single for Lynette to ply with Janice’s single. The Rules state that penalty points will be awarded for incorrect tension. And I like this Rule – only a small portion of the marks are for speed, the teams will profit from quality of work. If you are at Festival on Saturday 27 April come along and cheer the team along. This entry was posted in Uncategorized on April 2, 2019 by janettim. Nothing special has happened in the last little while except the making of some lovely things. So here are a few photos. 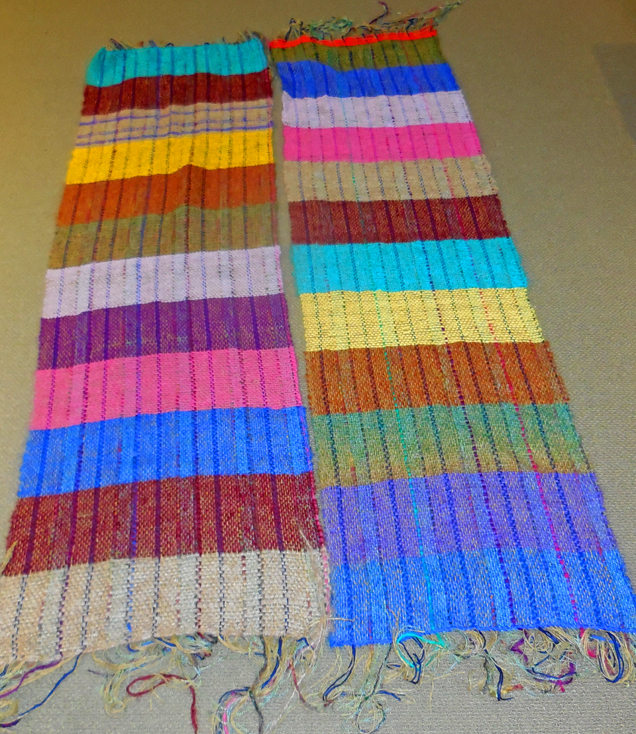 Below is another beautiful scarf, with a story. Margaret volunteers in a charity shop, and when an eyecatching silk scarf was donated, she realised they couldn’t sell it as it was badly torn. 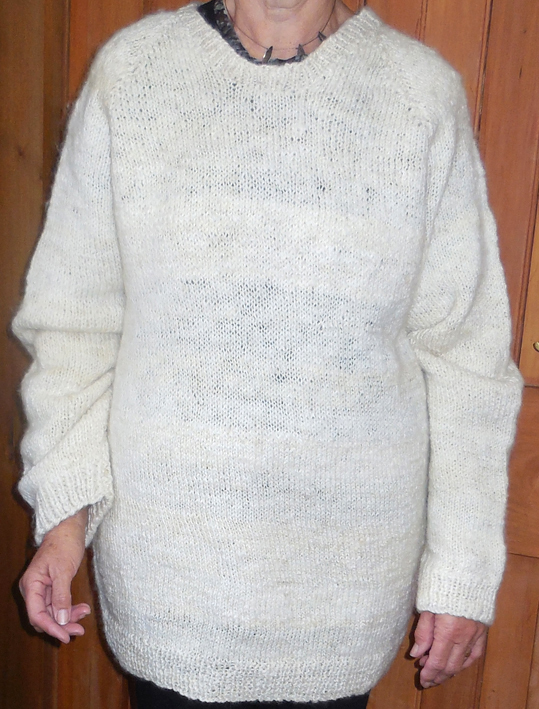 But she thought it might work for nuno felting, so she gave it to Pat who somehow managed to make this – and gave it back to an astonished and delighted Margaret. This entry was posted in Uncategorized on March 8, 2019 by maryinnz. 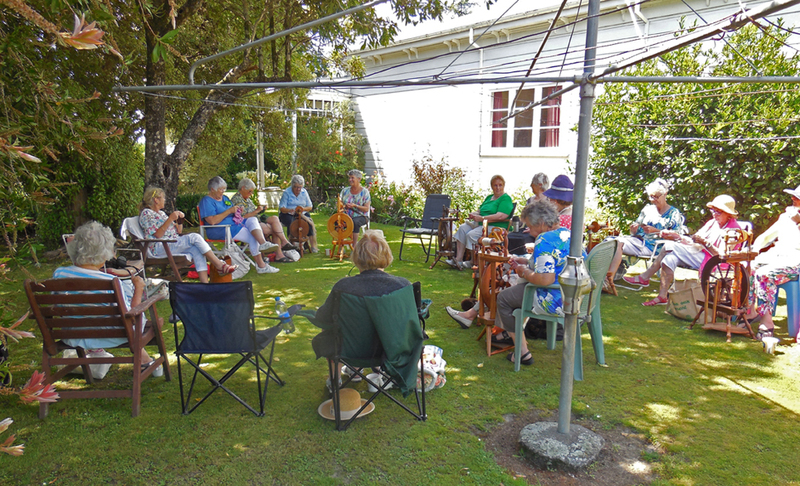 Did you know that the Wairarapa Spinners and Weavers Guild has a group that meets on the first and third Tuesday evening each month? This is a small but dynamic group where one can learn new skills or just come along and chill. 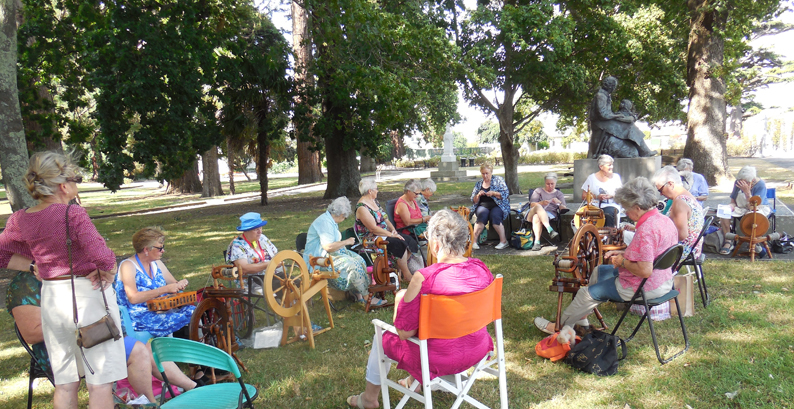 Some of us spin, some knit and some of us just sit and chat. We have access to all the things that the day group has. 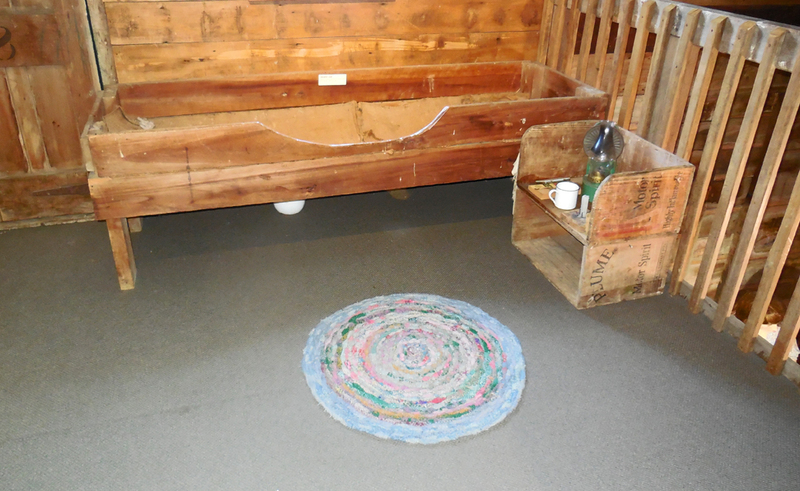 Our extensive library, show and tell, raffles and when practicable, education sessions. The Tuesday evening group was primarily for those of us who work, but many of the day group members enjoy the companionship of the night group. There’s lots of laughter, the odd joke, sales table and plenty of advice. You take what you will as far as the advice is concerned. Sorry, no photos as we have really only come back from the summer break. Creative Fibre our national body was founded 50 years ago and we celebrate our 50th anniversary this year too. We have two challenges. The first is a Guild Challenge where each member is challenged to make an item of head wear for a new born. With over 80 members we hope to be able to donate at least 50 items to new borns in the Wairarapa. The other is is simply ’50’. It can be 50 of anything as long as it is made from fibre that is animal or plant. 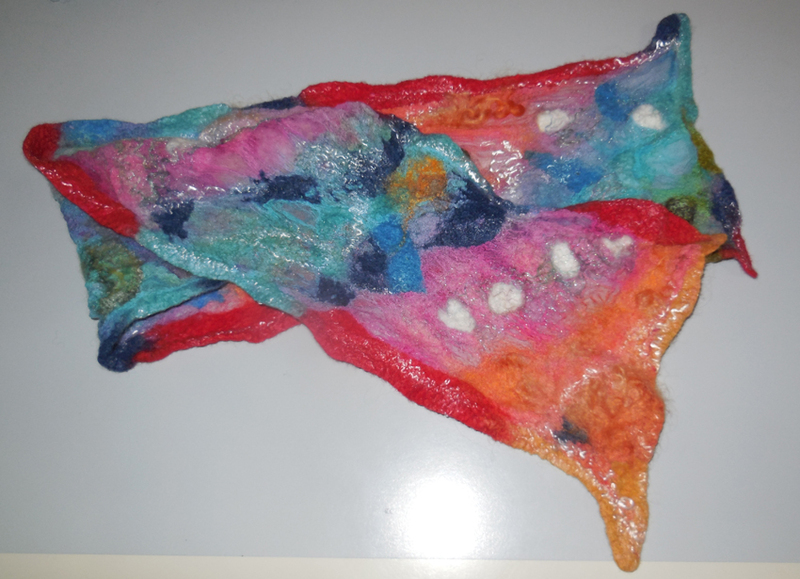 It could be a piece of woven cloth with 50 warp threads, it could be a felted 5 and 0. Here is a preview of what I am doing. This entry was posted in Uncategorized on February 27, 2019 by janettim. As usual, we met outside (weather permitting) during the holiday month. 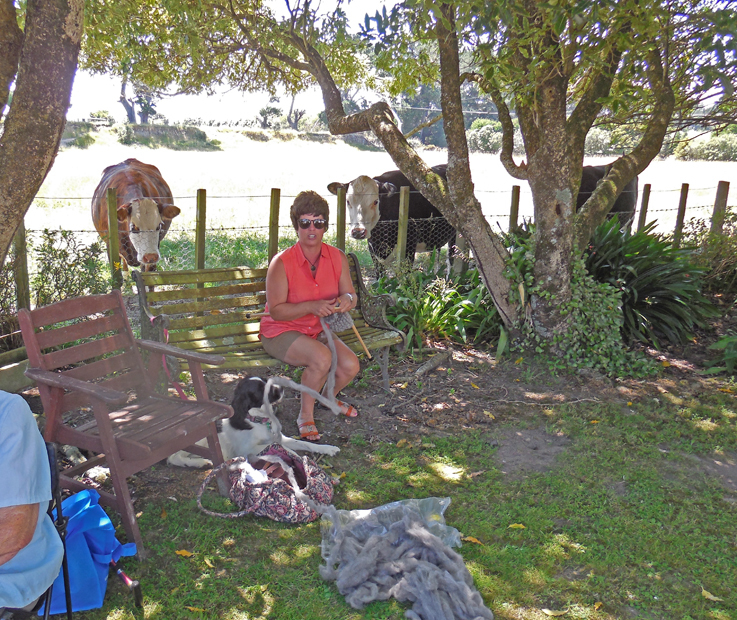 First we went to Josie’s farm, and sat in the shade under her lovely big trees. 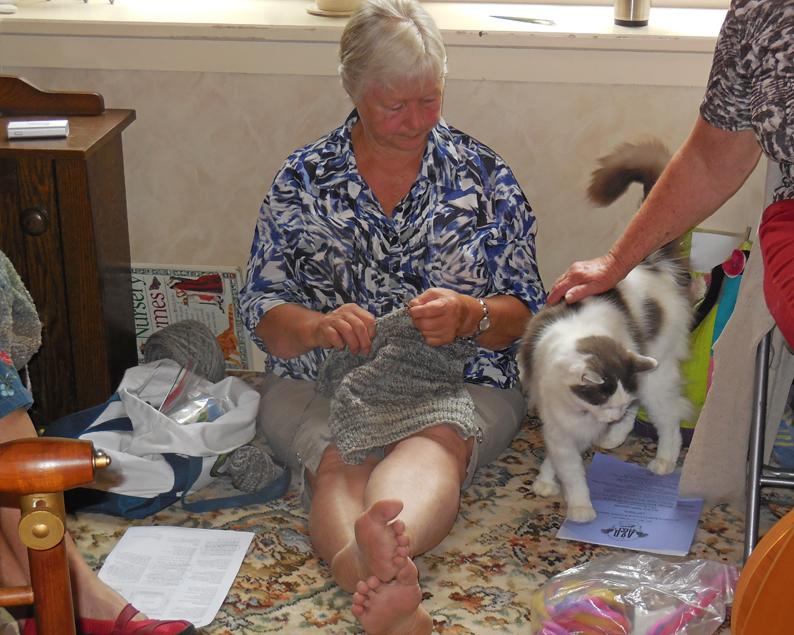 Patrizia (who brought a furry companion) wanted to learn how to knit using carded sliver. and soon she was making good progress. 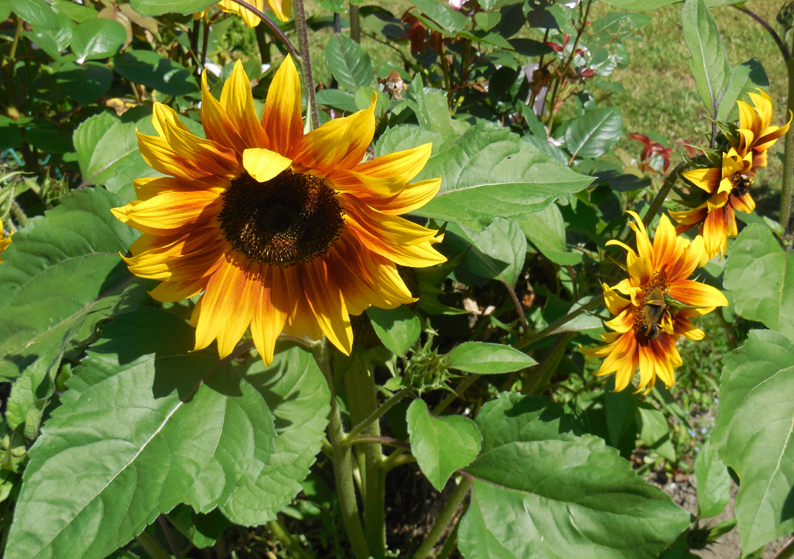 We can’t leave Josie’s without showing you her splendid sunflowers. Can you spot the two bumblebees? The next week we were at Lynette’s, indoors because of the windy weather. Jin the cat enjoyed the company. Doesn’t he go well with Juanita’s knitting! Neither of your bloggers was able to go to Patrizia’s the following week but a good time was had by all, in spite of yet more wind. – beside the statue of Joseph Masters, who founded Masterton. The story of his life is well worth reading. This entry was posted in Uncategorized on February 7, 2019 by maryinnz. 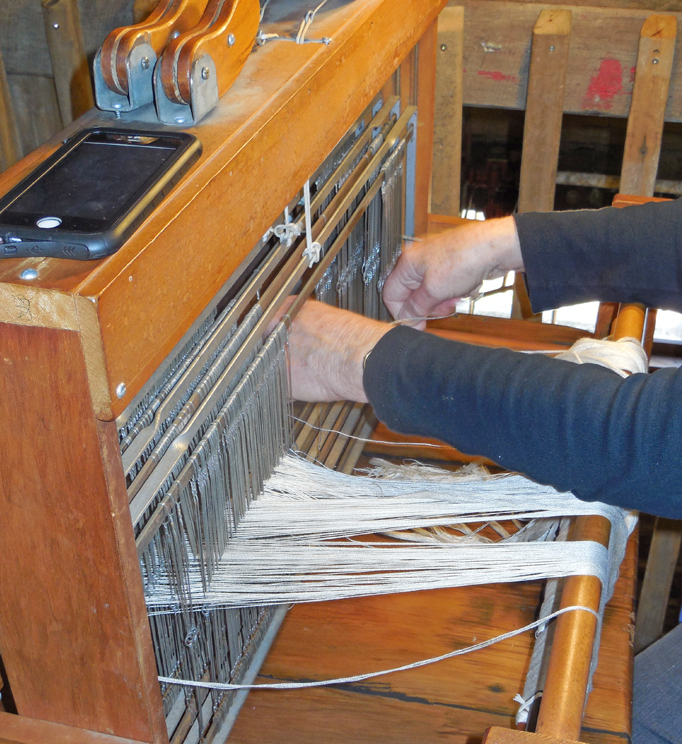 At our Wednesday meeting, if you leave the spinning and knitting and crochet behind for a bit and go upstairs, you will find up to half a dozen weavers busy at their looms. 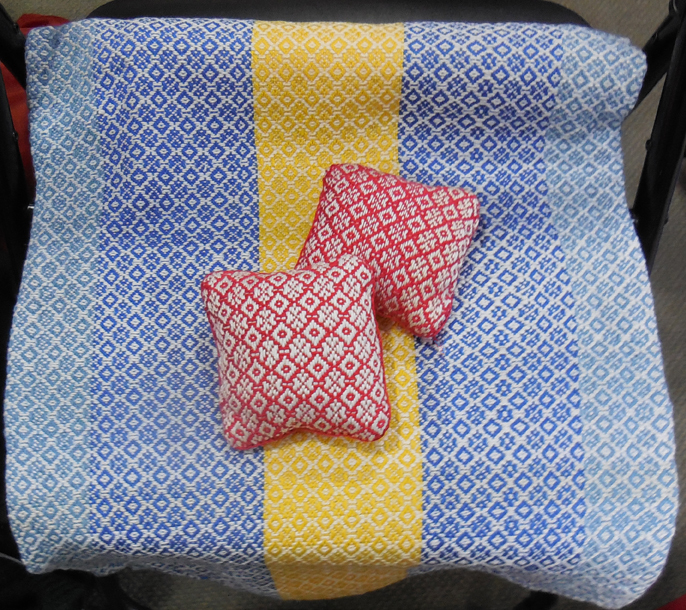 To many of us, who can only admire the results (like this intriguing fabric and two pincushions by Jutta) the processes of weaving are a bit of a mystery. It often seems to start with a birdsnest. Jutta is coping well with this one. 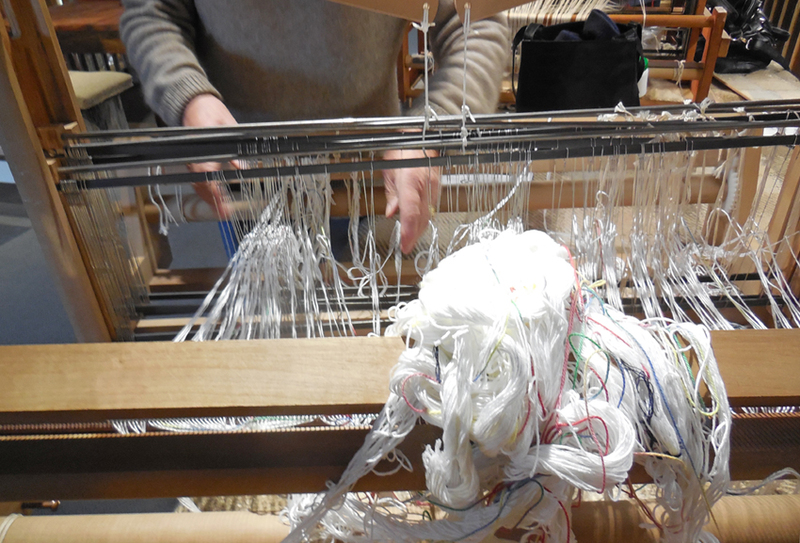 Somehow, the weaver disentangles each warp thread and put it through the correct little loop on the correct set of wire heddles. Helen is concentrating. and still produce handsome results. 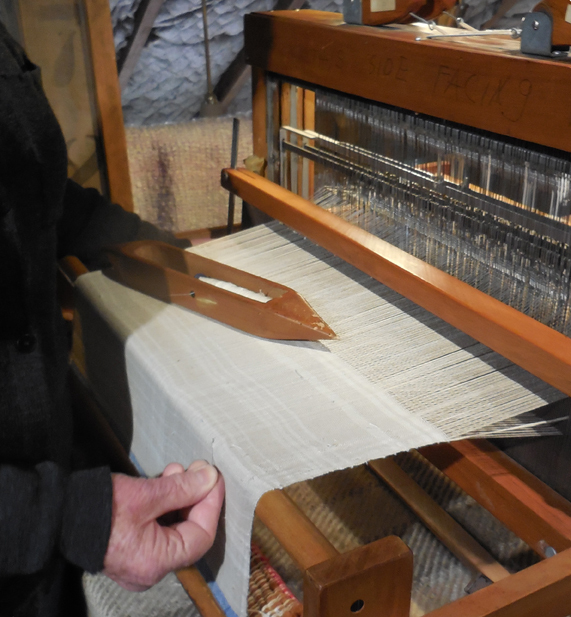 Then the weft – the threads that are to be woven across the long warp – has to be wound on shuttles ready for weaving. 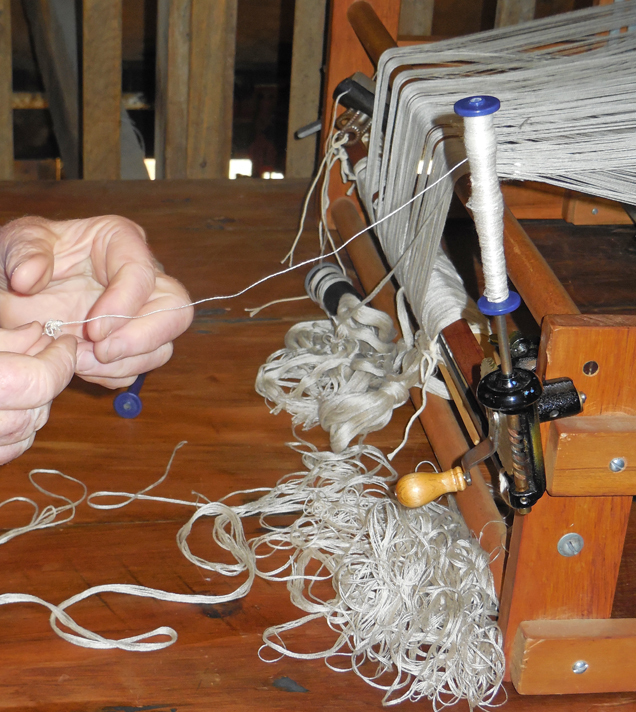 Helen has a handy gadget that speeds up the winding of miles of fine thread. 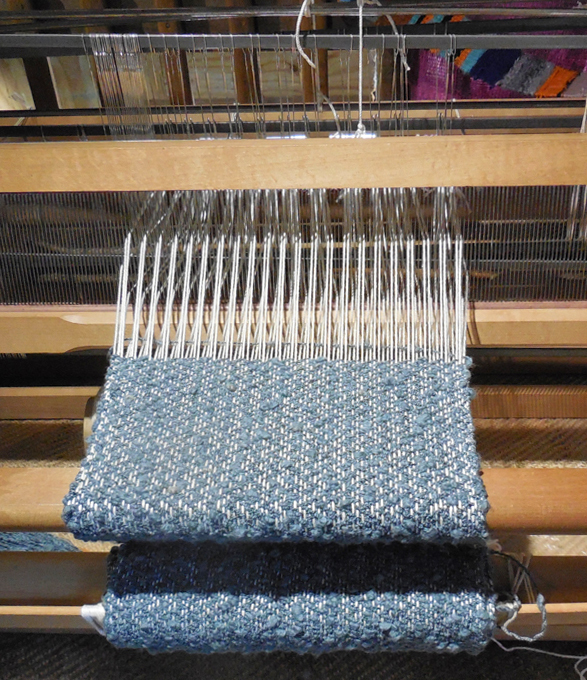 Here is the lovely fine fabric she is creating, with the little bobbin she was winding earlier fitted into a shuttle for smooth passage across the warp. She’s pointing out that there are always imperfections to be repaired afterwards. 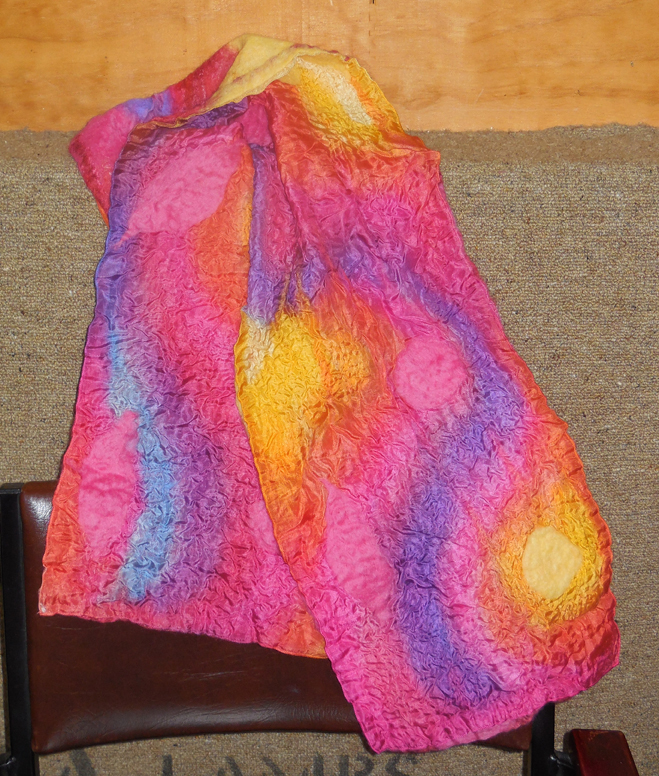 – the result is several bright, cosy wraps. 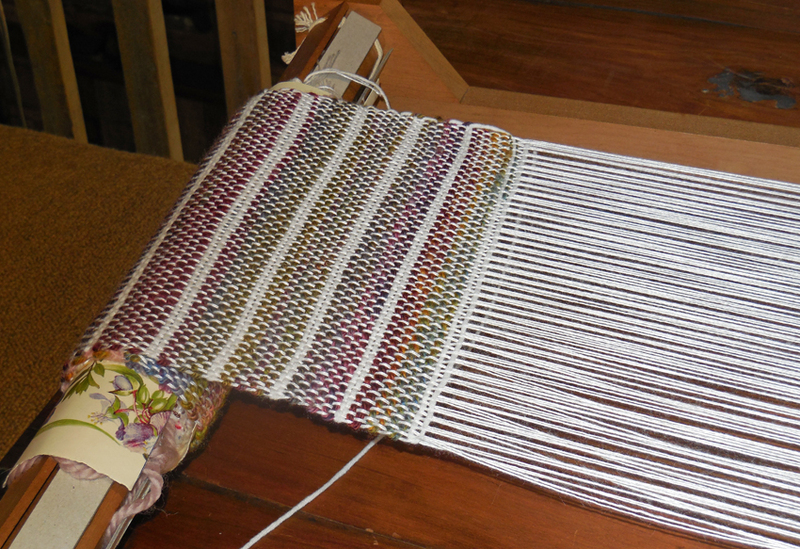 When the weaving is finished and off the loom, of course, there is still work to do. Those ends may become a fringe, or be dealt with some other way. Texture and pattern are combined in this piece by Jutta – see the zigzags? 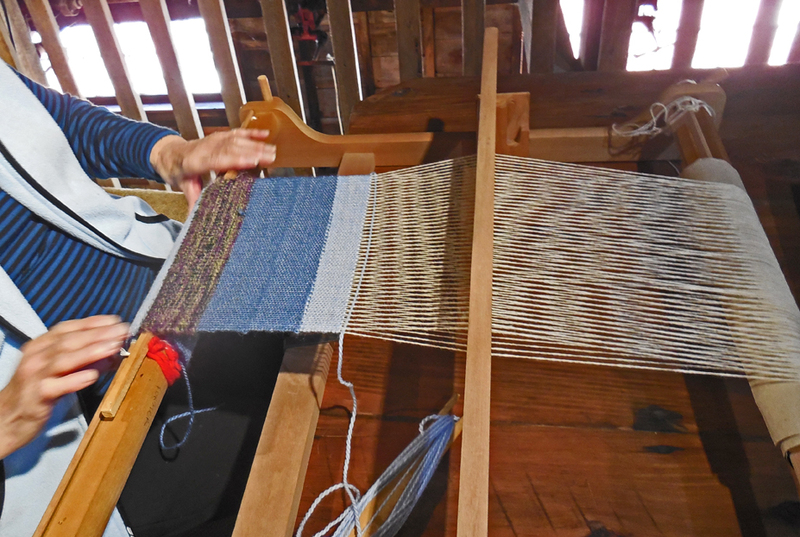 Myra is new to weaving, but is making great progress. Getting those edges so straight is apparently not as easy as it looks. 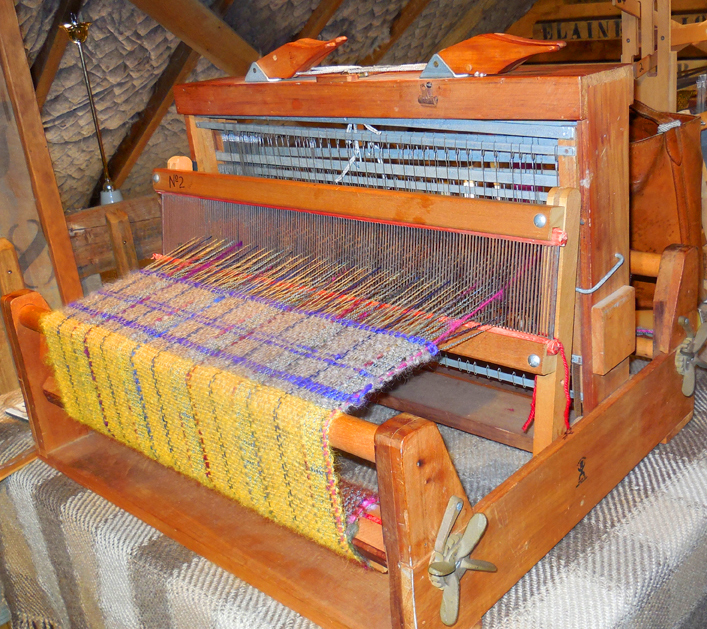 There’s also a loom set up for visitors to experiment with. 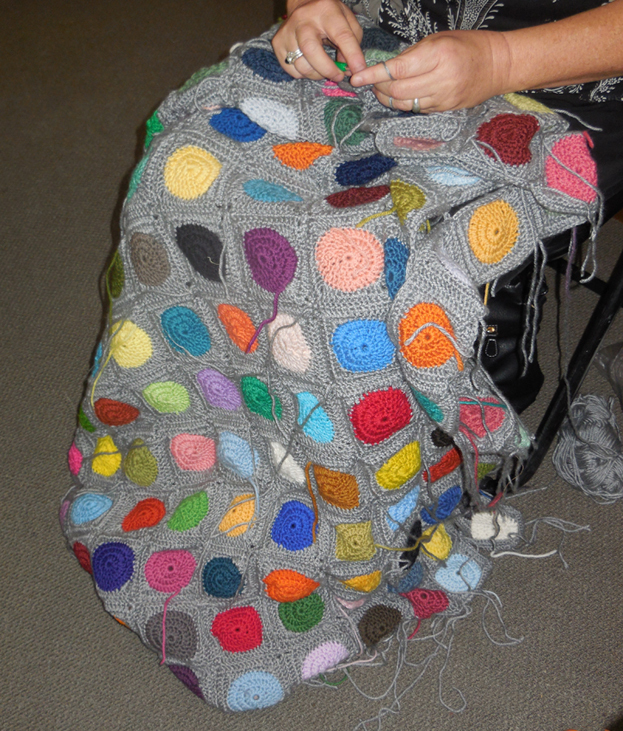 It’s popular with children, who enjoy experimenting with the patterns. Some of the results are hanging over the railing. This entry was posted in Uncategorized on January 6, 2019 by maryinnz. Aren’t we the lucky ones! Not one but two Christmas functions. 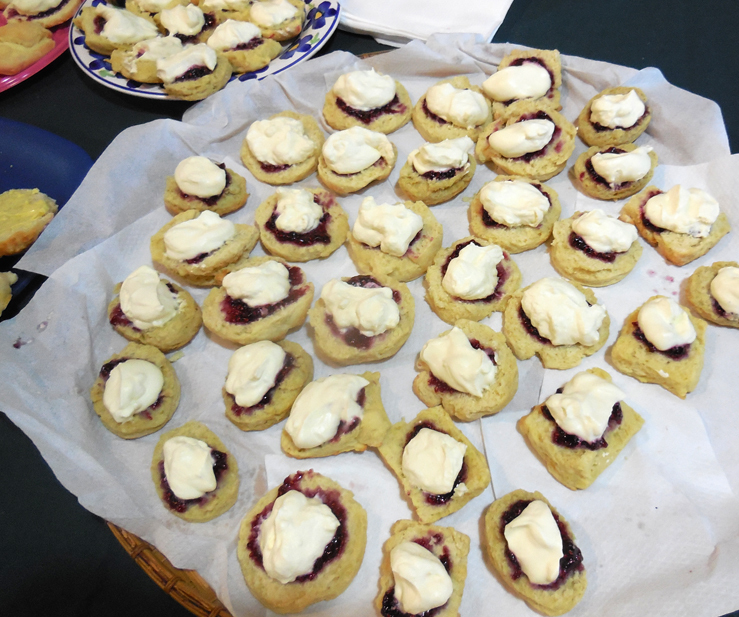 The first was a pot luck dinner held in The Woolshed Museum and the second a catered lunch at the Services Club in Masterton. Lynette shared with us her stunning nativity. Carol and Carl greeted us on arrival. Between main and dessert Trish had some of us up line dancing. Whew, I was pleased I was on camera duty. Lift those knees girls! After dessert it was present time. Here Santa Win and Elf Herta discuss who was naughty and who was nice and how best to distribute the parcels. That’s a big bag of presents. Then a week later we had a very lively lunch at the Services Club in Masterton. Mary and Bev, just two of our hard-working group. And what do you do between courses? You continue with those projects. 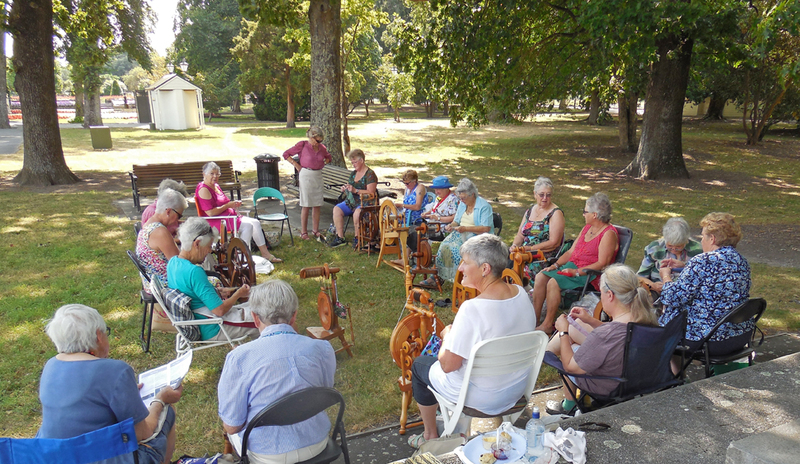 That’s 2018 over for Wairarapa Spinners and Weavers. We will be back early next year and will meet at various homes until we come back officially on Tuesday 5 of February at 7.00pm and Wednesday 6 February at 10am at The Woolshed. Mary and I wish you all a very Merry Christmas and a Happy New Year. This entry was posted in Uncategorized on December 21, 2018 by janettim. 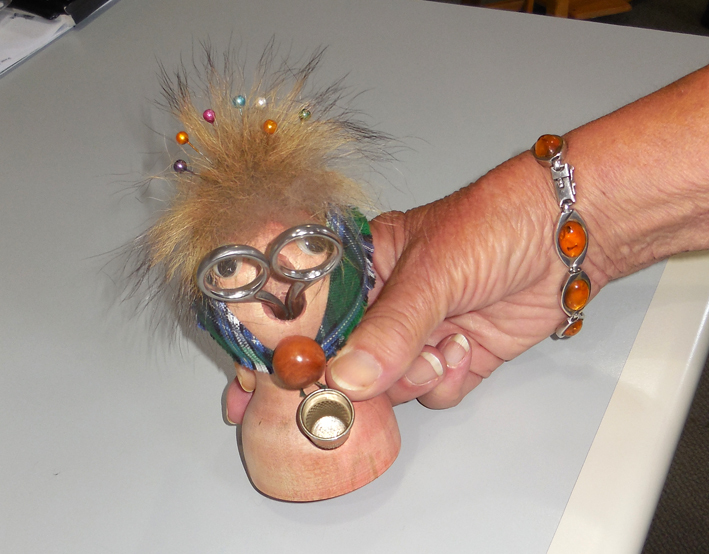 We’ve seen some beautiful and interesting things lately at our Wednesday meetings. 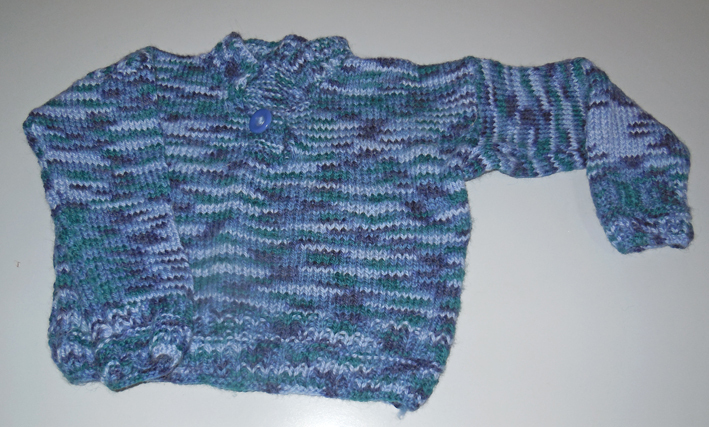 Members have made cosy items for young and old (summer will be over before we know it, and in fact sometimes it feels like it already is). 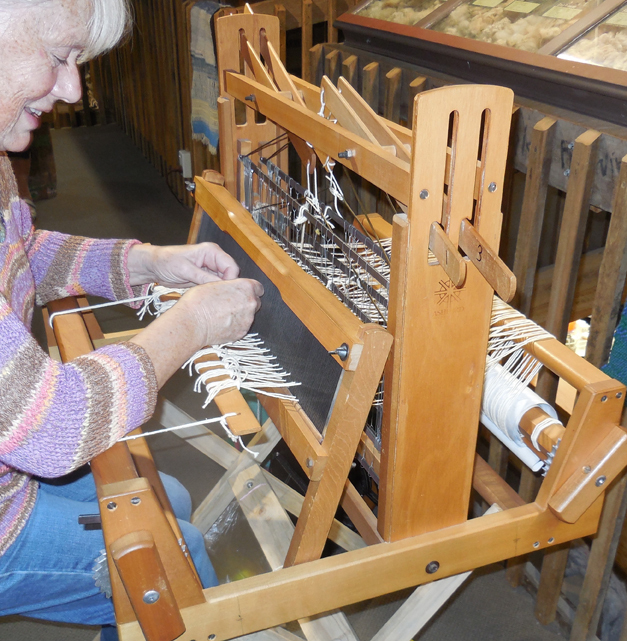 Helga’s exquisite silk spinning deserves a special mention. 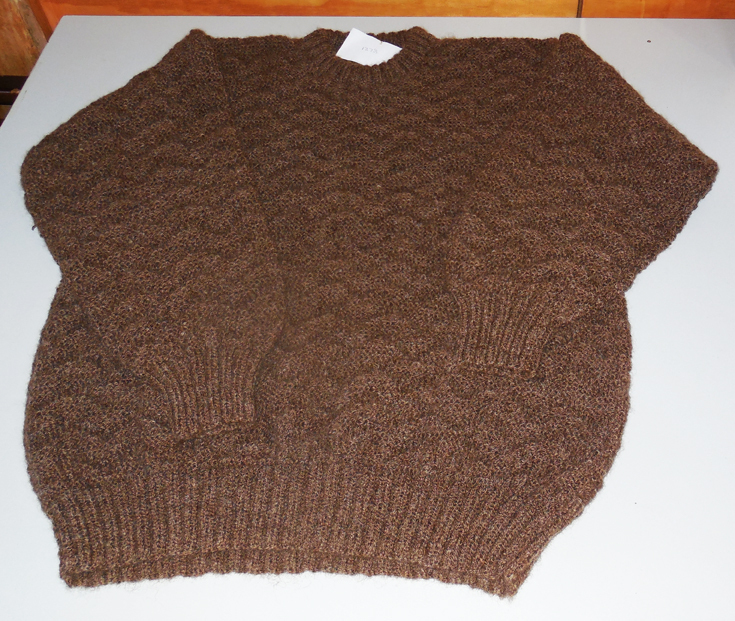 At another meeting we saw some history: two very old and special sweaters. 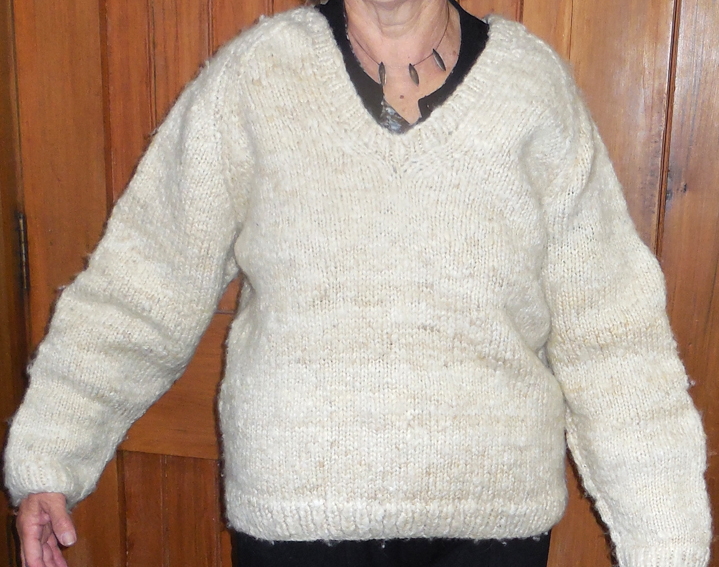 They were made in 1967, at a Wool Week in Wairoa which led to the formation of of our national body, which we now know as Creative Fibre. Two teams attempted a world fleece-to-garment record, and these are what they created. 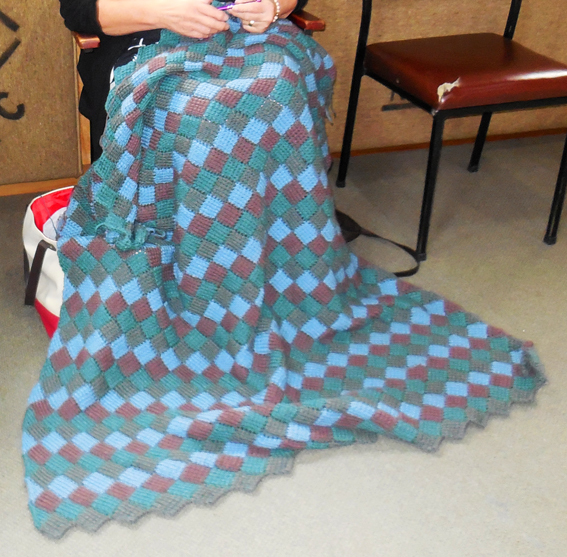 The first was spun and knitted in the usual way. The other team used what we now know as kiwicraft. 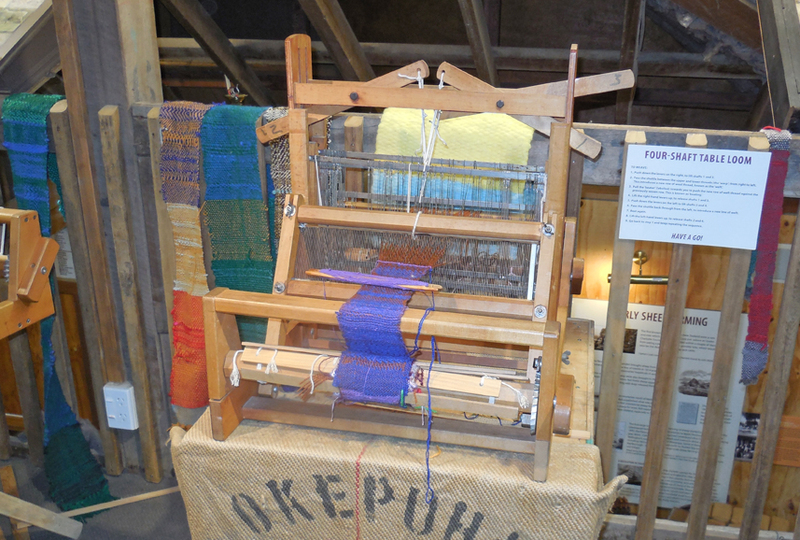 ‘Māori women devised a unique way of knitting yarn without spinning the wool first. 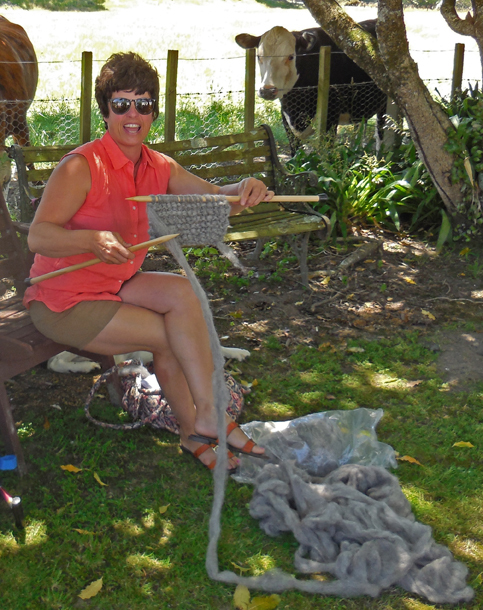 Women working as fleece-os (gathering shorn wool) in shearing sheds would roll freshly shorn wool on their thighs and knit the resulting strands with needles made from fencing wire in a practice known as uruahipi’ (find out more at Te Ara, the Encyclopedia of New Zealand). 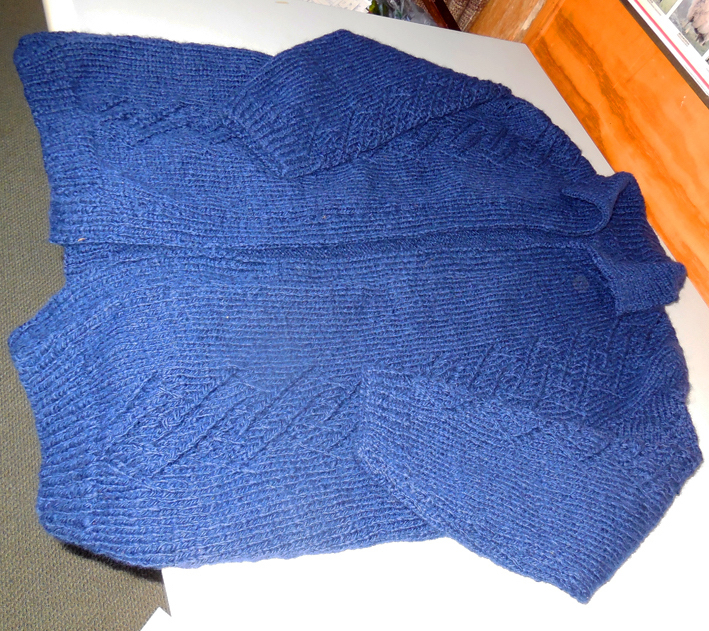 For more about the very beginning of Creative Fibre, see the second and third pages of your 2019 Creative Fibre diary, and to see the actual sweaters, come to the April 2019 Creative Fibre Festival, where they will be on display. The animal is a reptile. But what will a reptile do with that? Give up? We all did. It will be a hammock for her granddaughter’s Bearded Dragon. 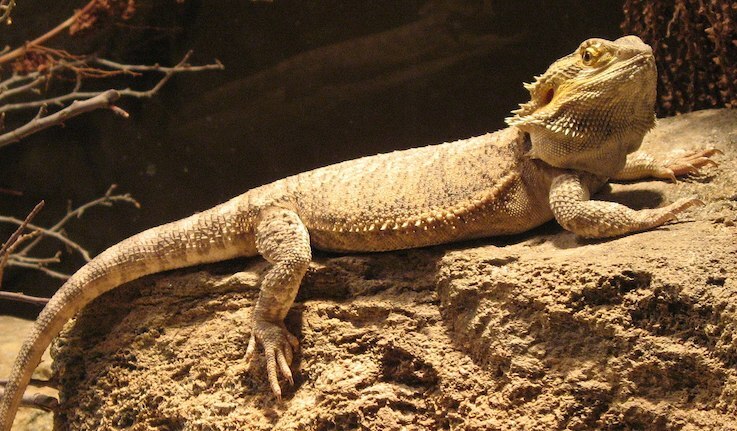 Bearded Dragons are lizards native to Australia. This is what they look like. This entry was posted in Uncategorized on December 3, 2018 by maryinnz.